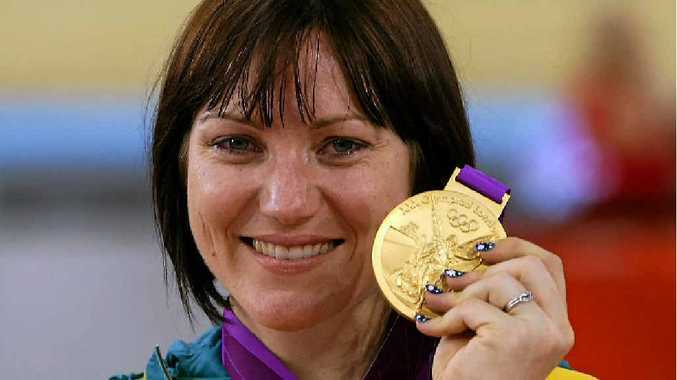 ANNA Meares was so "geared up" after her Olympic Gold Medal win, she was still awake at 4am London time. 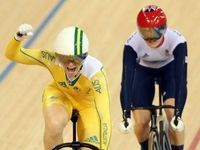 The former Rockhampton High School student has landed herself in Olympic history after winning gold in the sprint event at the velodrome on Tuesday night London time. Her first coach, Rockhampton's Ken Tucker, said Meares had placed herself in a class of her own. "In winning the blue-riband sprint event at the London Olympics, Anna has achieved something that no other Australian Olympian has achieved in over 100 years of the Games," he said. Tucker was able to pinpoint where in the race his former charge won the Gold and it wasn't about speed. 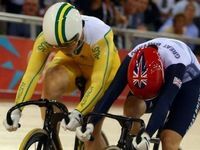 He said it was when Meares purposely stalled up on the bank, forcing Great Britain cyclist Victoria Pendleton to go in front. Meares told media yesterday she had been working on the tactic that she said didn't come off how it was supposed to. 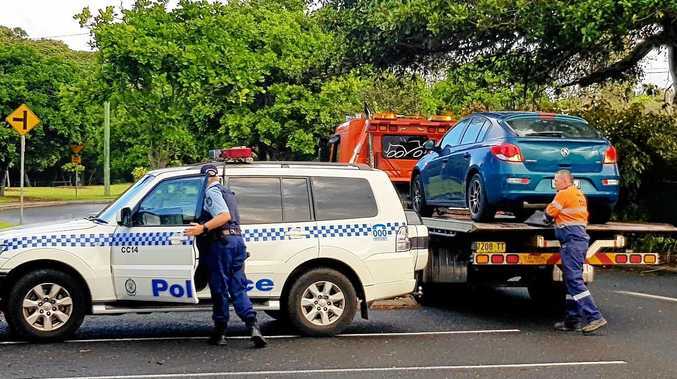 She took to Twitter yesterday, first saying she'd received a phone call from Prime Minister Julia Gillard that night. Then Meares tweeted "Tried it.... Can't sleep! Way too geed!" - at 4am London time. But it may not have been just the high of the win keeping Meares awake, as she had said she would celebrate in Australian style - with a lamington and a rum. Mind you, it is believed she'd already broken her chocolate ban, with help from her husband, Mark, after the Keirin event. 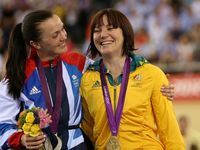 Earlier, Meares commented on her gold medal win against her rival, Great Britain's Victoria Pendleton. "It's been such a difficult challenge and to be able to win the Olympic title, for me, it's so special," Meares said. "I've tried so much and worked so hard for a long period of time and I've asked a lot of people around me to do the same, so it feels like this is a just reward."